Diwali is one of the main festivals of Hindus. The preparation for Diwali celebration begins weeks before the festival. People begin with the preparations by cleaning their houses and shops. Every nook and corner of the houses, shops and offices is cleaned before Diwali. These are then decorated with lights, lamps, flowers and other decorative items. People shop for new clothes, home decor items and gifts for their loved ones on this festival. The markets are flooded with a variety of gift items and sweets around this time. It is a good time for the businessmen. It is also a good time to bond with our near and dear ones. People visit each other around this time and exchange gifts as a part of the celebration. 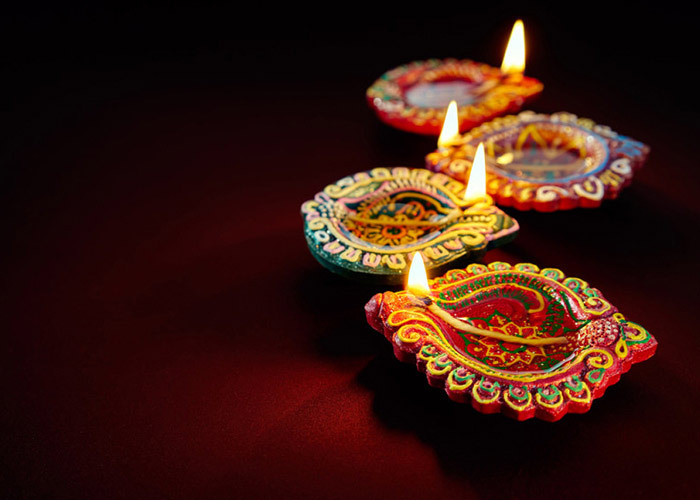 On the day of Diwali, people light up their houses with diyas, candles and lights. They also make rangoli and decorate their houses with flowers. The ritual of worshipping Goddess Lakshmi and Ganesha is followed in every Hindu household on the occasion of Diwali. It is said that this brings in prosperity and good luck. Also known as the festival of lights, Diwali is all about worshiping the deities, burning crackers, having sweets and making merry with the loved ones. It is considered to be one of the most auspicious days in the Hindu calendar.